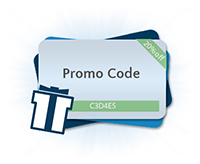 Promotional Codes not only help you to drive sales, but they also help you to track your marketing. 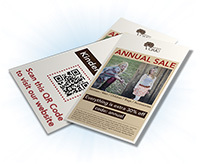 By using promotional codes across various forms of advertising, you are able to test and see which forms are most effective for your business. In order to create a Promotional Code, start by clicking "Add Promo"
Code: the code used at checkout to take advantage of the promotion. Click "Random" to auto-generate a code. 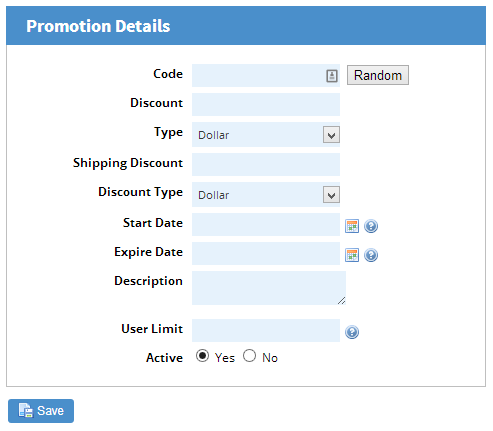 Discount: Enter the number value of the product discount without any symbols ($,%, etc ), or enter 0 for no discount. 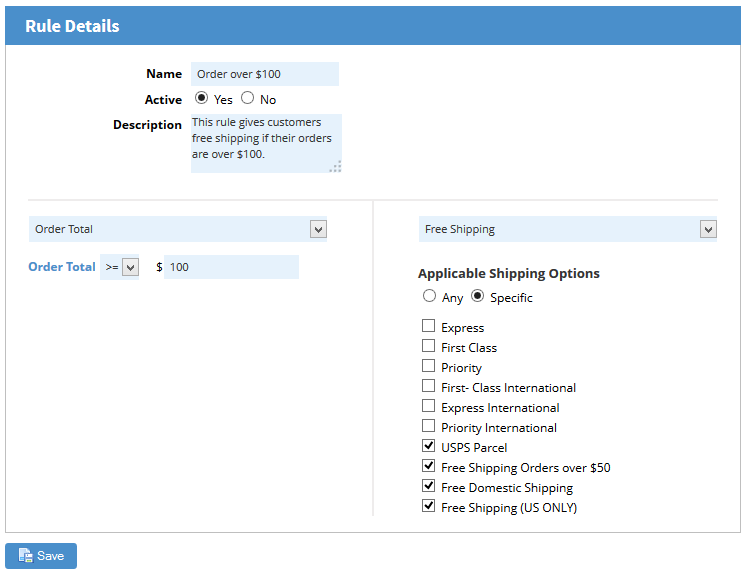 Shipping Discount: Enter the number value of the shipping discount without any symbols ($,%, etc ), or enter 0 for no discount. Start Date: Click on the calendar icon to open a calendar and select a start date. Leave the field blank for immediate start. Expire Date: Click on the calendar icon to open a calendar and select an end date. Leave the field blank for no expiration date. Description: This is where you can write some notes about this promotion for reference only. This will not be displayed on the website at checkout. User Limit: The number of people who can take advantage of this promotion. Enter 0 for no limit. Active: Determines if the code is accepted by the shopping cart or not. Promotion Rules allow you to provide conditional discounts to customers. For example: you may want to give customers free standard shipping (or discounted shipping) if their order is 100$ or more. In this tutorial, we will create a rule for the above scenario. 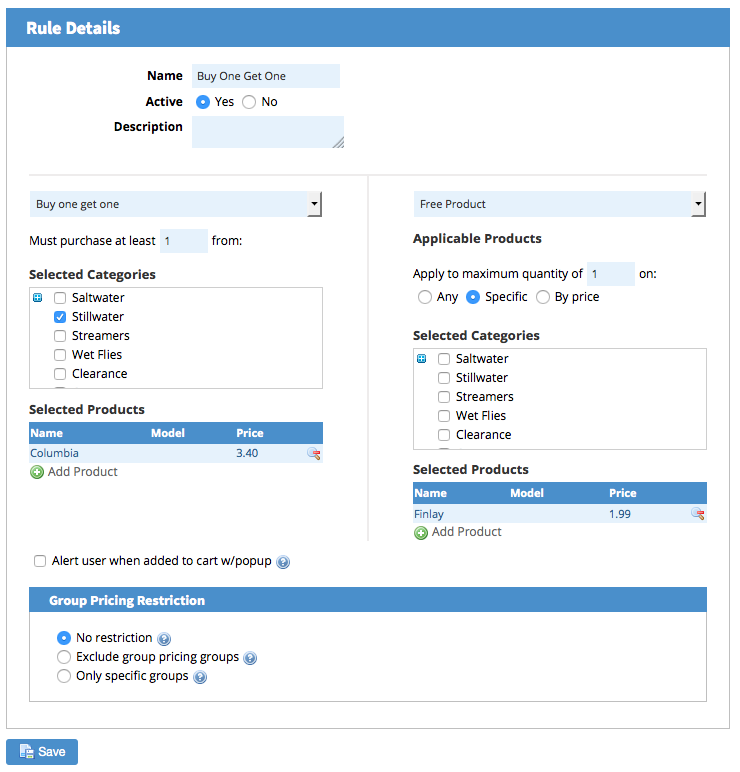 To create a new Promotion Rule, click "Add rule"
You are able to choose which specific shipping options are discounted when the order amount meets the requirements. If you selected "Yes" for Active, there are no need for codes or to notify users: the discount automatically becomes available on your website. To the right of the screen, you will be able to set which products/services/discounts are redeemed as a result of purchasing the designated products. You'll see you can also create many other discount combinations such as "buy 3 get free shipping" or "buy 5 get a percentage off the whole order", just to name a few.